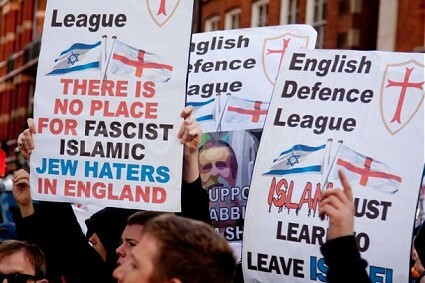 I don’t know everything about the leader of the EDL but from what we see they’re on the streets and they’re very vocal supporting Israel, supporting Israel’s right to defend itself and standing up to political Islam, so that’s about it. So that’s it? That’s all it takes? This entry was posted in Identity, Islamophobia, Multiculturalism, Nationalism, Xenophobia. Bookmark the permalink.